This picture was taken at the northern tip of the Salar de Atacama — the largest salt flat in Chile. The flat is close to the town of San Pedro de Atacama, a town in northern Chile very popular among Chilean tourists and international visitors. 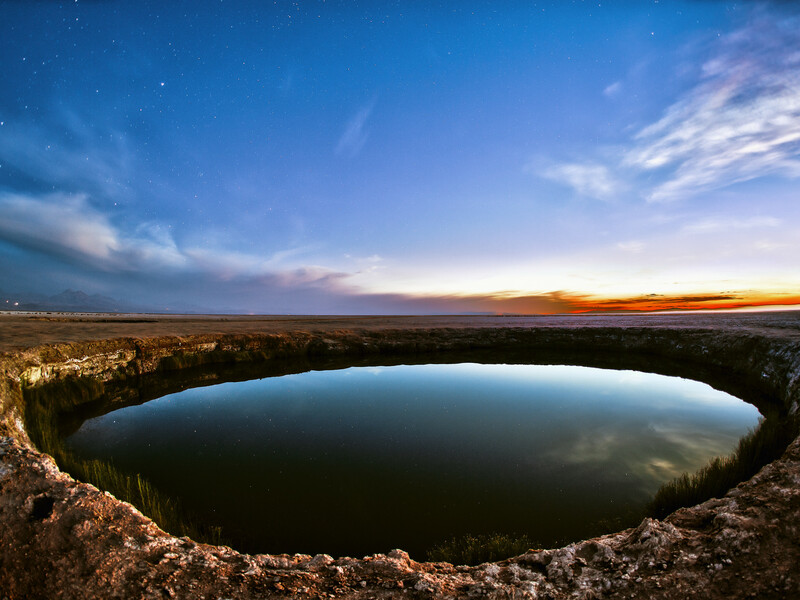 The salt flat is home to two similar freshwater lagoons that lie very close together: the Ojos del Salar, which translates to “Eyes of the Salt Pan”. During the day, the site is visited by tourists, who stop by on their excursions from San Pedro de Atacama. 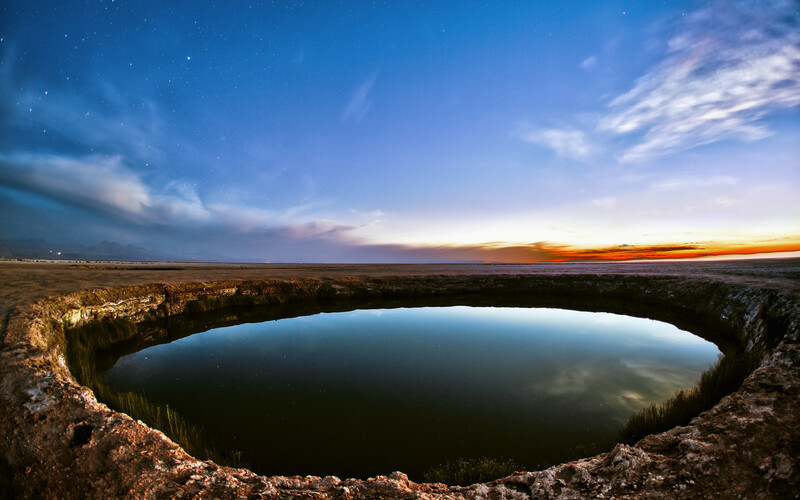 Here, one of the two water-filled holes in the middle of the arid landscape is shown at dusk, when the site is again peaceful and quiet. 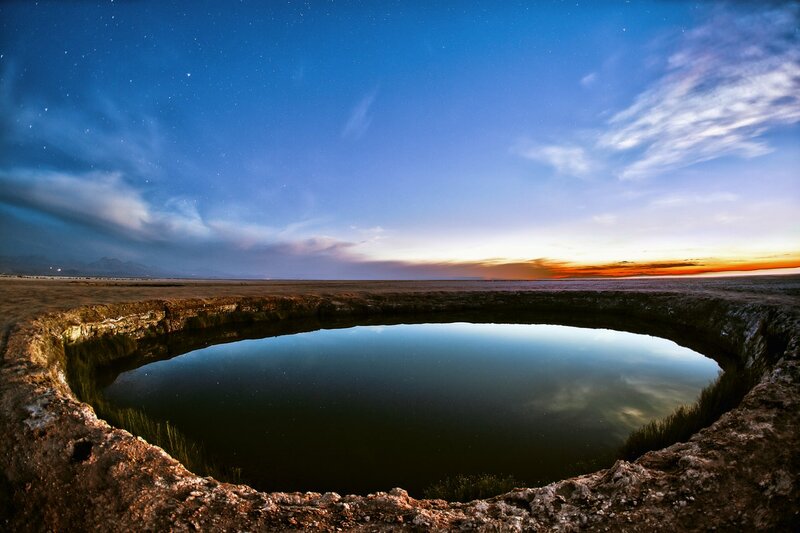 The eye of water perfectly reflects the view of the sky as it changes from day to night. While the clouds on the right horizon are still been dipped in orange by the setting Sun, the sky on the left already shows some stars. The site is not far from the Chajnantor Plateau. This high plateau, 5000 metres above sea level, hosts the Atacama Large Millimeter/Submillimeter Array (ALMA) — an observatory of revolutionary design, composed of 66 high-precision antennas. 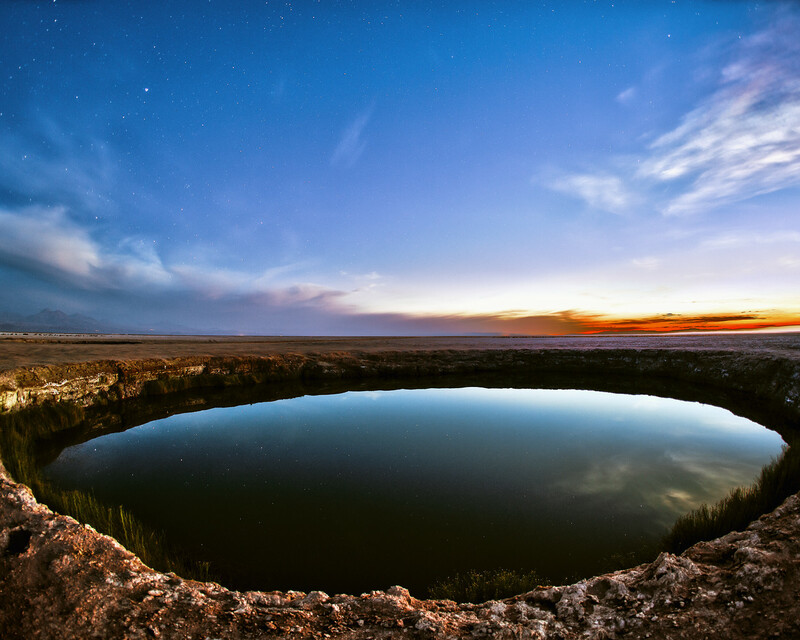 The Atacama Desert is the perfect location for ALMA, as low humidity and high altitude combine to give ideal conditions for astronomical observation. This image was taken by ESO Photo Ambassador, Adhemar Duro.